Smart formal attire for your device. Carry your tablet in Eco vogue! 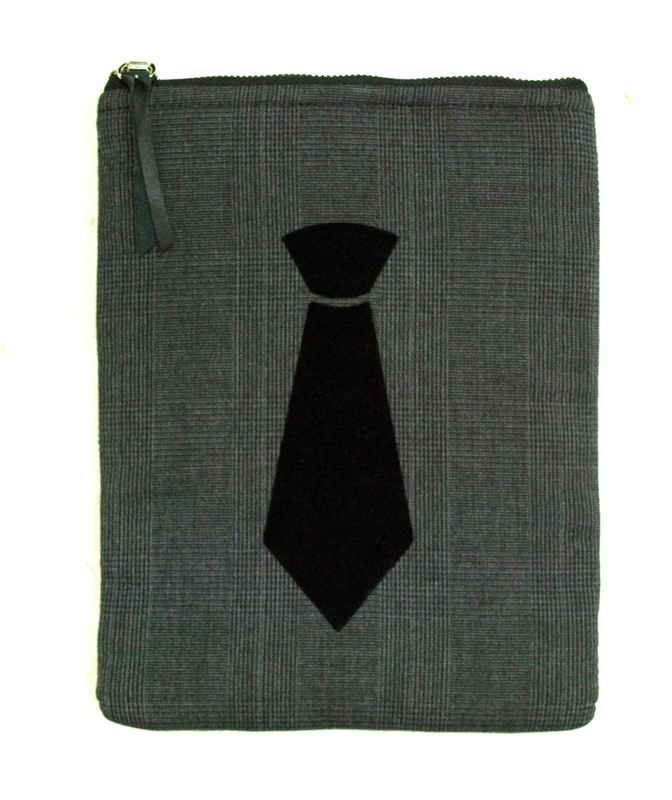 Smart formal attire for your tablets crafted from up-cycled fabric. Make this quirky sleeve your Eco buddy on days of business and pleasure. The flock printed tie gives them an added dimension of fun. Complete your Eco attire with this neat sleeve. At Clean Planet, we are constantly innovating to reach a goal of zero-waste consumption. The accessory range-Indiegenius, is a result of these efforts. Recycling and upcycling fabrics as compared to the use of virgin fabrics, saves on resources and energy which benefits the environment to a great extent. Watch as rich and vibrant fabrics are re-born with contemporary, stylish cuts. A passion for the planet, a liberal dose of creativity and rigorous R&D. That’s what it took to craft these sleeves. Our choices now have a planetary consequence. We have a greater responsibility to make earth friendly decisions in all product choices. Each one of us can make a difference. Together we make change.